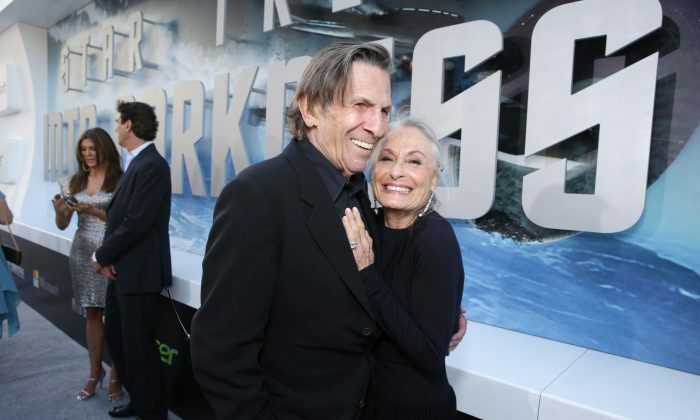 Leonard Nimoy, the actor best known as Spock from the original Star Trek series, leaves behind his wife Susan Bay and her son Aaron Bay-Schuck. 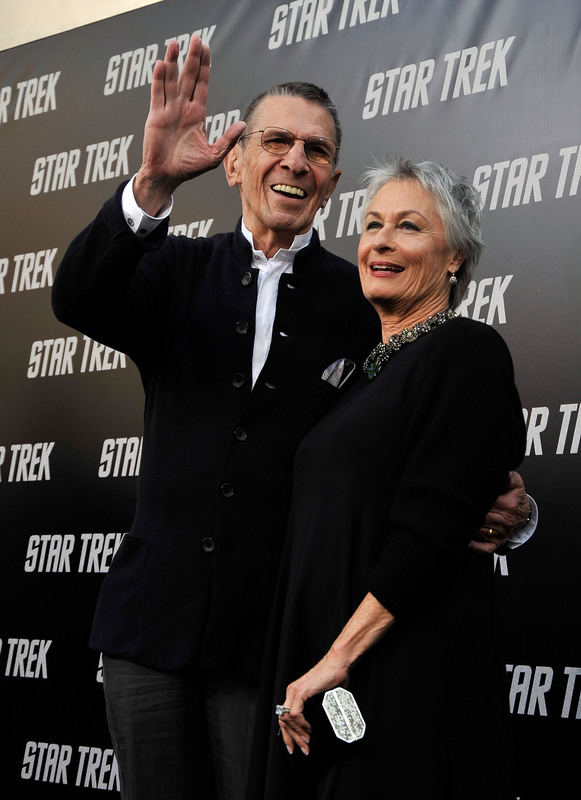 Nimoy’s former wife, Sandra Zober, has already died, back in 2011. 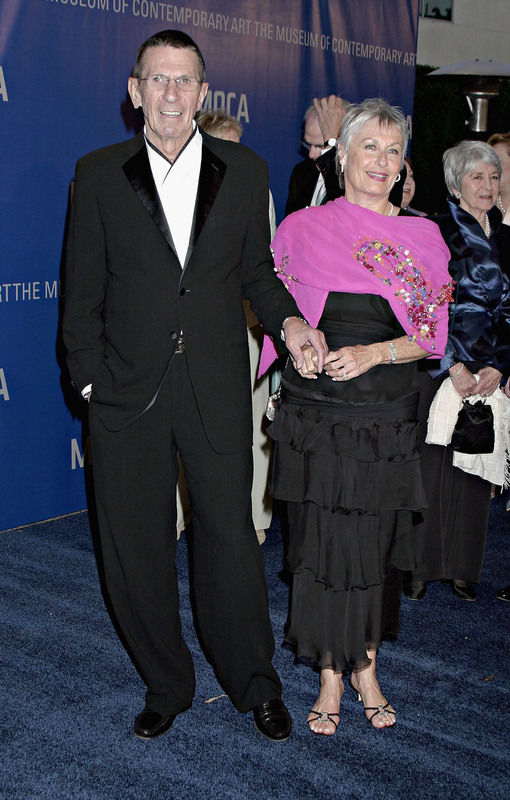 She and Leonard split in 1987, about a year before he married Susan. Leonard and Sandra had two children together, Adam Nimoy and Julie Nimoy. Susan Bay, 71, is also an actress. In fact, she appeared in two episodes of Star Trek as Admiral Rollman. The two episodes were Past Prologue in 1993 and Whispers in 1994. Bay, who had her son with former husband John Schuck, also appeared in a number of films and television series. Among her credits–Remington Steele, L.A. Law, and Starsky and Hutch. Bay began her acting career back in 1963. Following her role in Star Trek, she basically retired from acting. Her only credit since then was as Rebecca in the film Mother and Child, which also starred the likes of Naomi Watts, Annette Bening, and Kerry Washington. Bay, who is also known as Susan Nimoy, is a cousin of famed director Michael Bay. 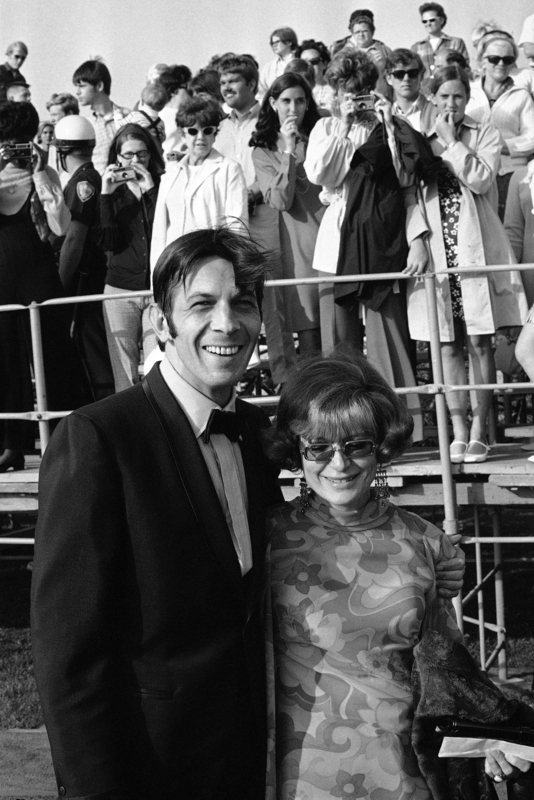 Bay married Nimoy about a year after her divorce, and his. They were married on New Year’s Day in 1989, and went on a honeymoon to Europe and Lake Tahoe. Nimoy famously revealed back in 2001 to the Telegraph that he hadn’t drank alcohol at all since he “fell in love” with Bay. He said prior to that he would drink quite a lot, particularly after long hours of filming the hit television series. Nimoy said his addiction to alcohol was the main reason that his first marriage to Zober broke down after 32 years. Bay confirmed Nimoy’s death on Friday, saying the cause was end-stage chronic obstructive pulmonary disease.